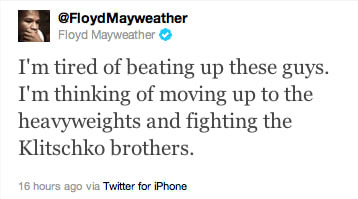 Complex Says: Not for nothing Floyd, but things like this lead people to think you're ducking Pacquiao. If you move we're going to automatically assume you're juicing. Take the test!